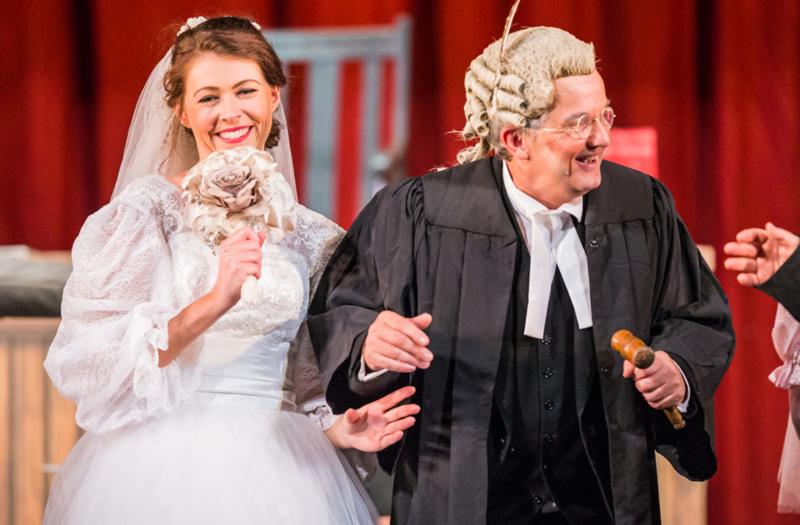 This year the National G & S Opera Company celebrates its silver jubilee with six new productions. I was invited to review five of them which premiered at Buxton’s historic Opera House. 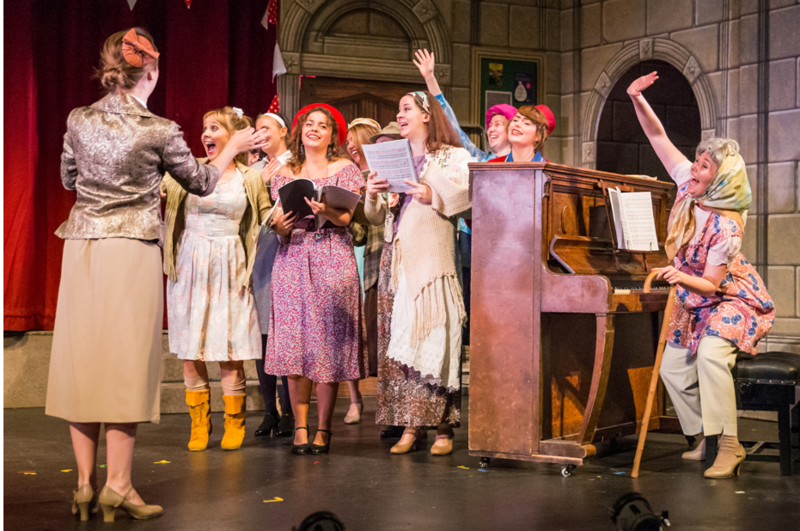 This professional company now tours to the International G & S Festival at Harrogate as well as major theatres in England until the end of September, employing a chorus of 18 and an orchestra of 24. It does all this, and to a high standard, without any state subsidy! Poster for the 1884 revival of “The Sorcerer” with J. W. Wells. 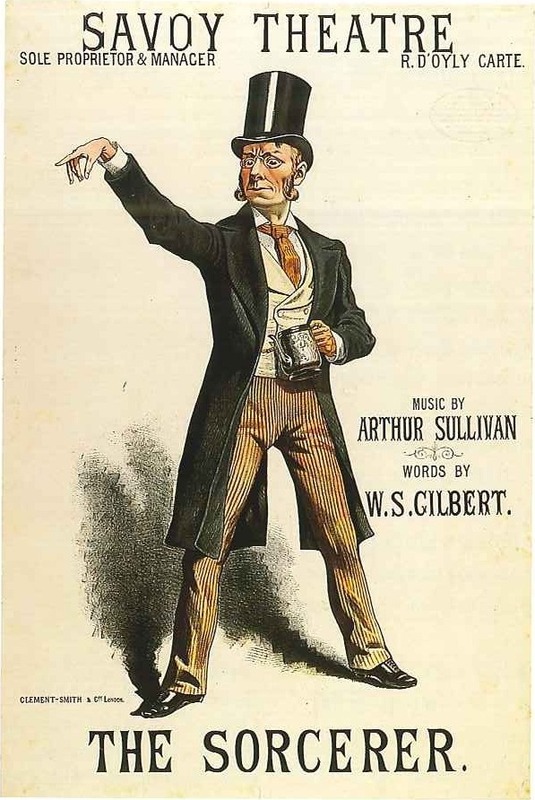 The Sorcerer was first staged in 1877: it is one of the lesser-known comic operas/operettas, yet has one of Sullivan’s most inspired scores, and contains some of Gilbert’s wittiest, stylised dialogue and lyrics. The plot concerns Alexis, who is passionately in love with Aline, and wants his entire village to be equally blessed, so employs a Sorcerer to put a love potion in the tea at his wedding reception. 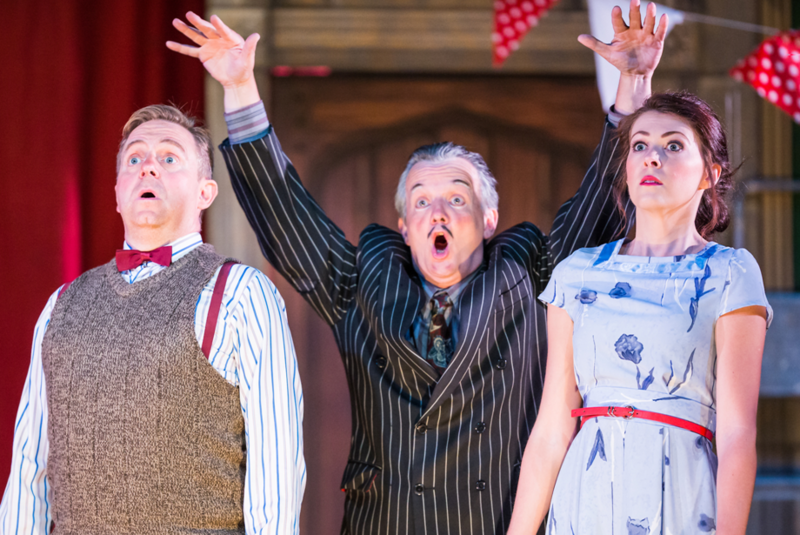 This production, by John Savournin, has been updated to the twenty-first century, and is set in the Community Hall of the eccentric village of Ploverleigh. This was an imaginative decision, and works supremely well. 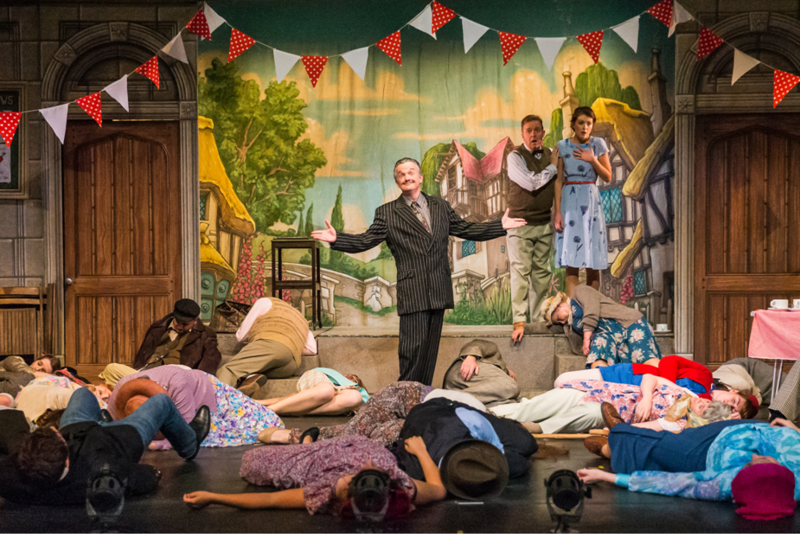 Dialogue is delivered swiftly and lightly in a very amusing fashion, and everyone on stage, including the members of the chorus, has been given a role. This means that there is always interest on stage, but it is never too ‘busy’. The chorus of rustics/yokels/villagers is asked to dance (stunning choreography by Damian Czarnecki) as well as sing; the amount of energy each member puts in makes one feels quite exhausted. This must be one of the very best opera company choruses both in volume and diction. The simple but clever set, by Paul Lazell, leaves a large clear acting space which also seems intimate when required, having a stage within a stage which can be curtained off, a serving hatch for the all-important tea and an upright piano. It is also beautifully painted. John Wellington Wells, the Sorcerer of the title, is cunningly played as an East-end ‘spiv’, with more than a nod to Arthur Daley, by Richard Gauntlett. He is a very watchable performer and his rendition of Sullivan’s first patter song “My Name is John Wellington Wells” is one of the many highlights of this show. Each word crystal clear and pinging to the rear wall of the auditorium. The romantic couple, Alexis(Nicholas Sales) and Aline (Ellen Angharad Williams) are very believable, owing to their facial expressions, their heightened dialogue and their gorgeous voices. 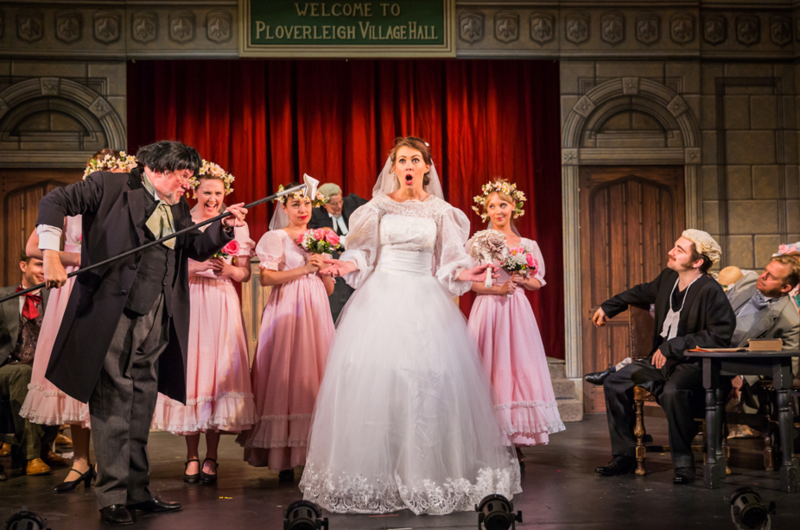 Sir Marmaduke, Alexis’ father(Eddie Wade) and Lady Sangazure (Mae Heydorn) make the most of their Act One duet “Welcome Joy”, another of Sullivan’s best creations, and Matthew Kellett as the Vicar is much more than the stereotypical ‘C of E’ priest, which actually does exist. His Act Two duet with Aline, when they fall in love because they have drunk the magic potion is quite poignant, as we know that in reality they both love someone else. Secondary roles are not only well cast but also well directed: Ros Griffiths, as the pew-opener, Mrs Partlett, is portrayed in a very touching manner, as well as being very funny, and the same applies to Emma Watkinson as the piano-playing Constance, her daughter, who is everything someone called ‘Constance’ should be. Stephen Godward as the Notary is most amusing as is Henry Smith as yet another vicar – Hercules! 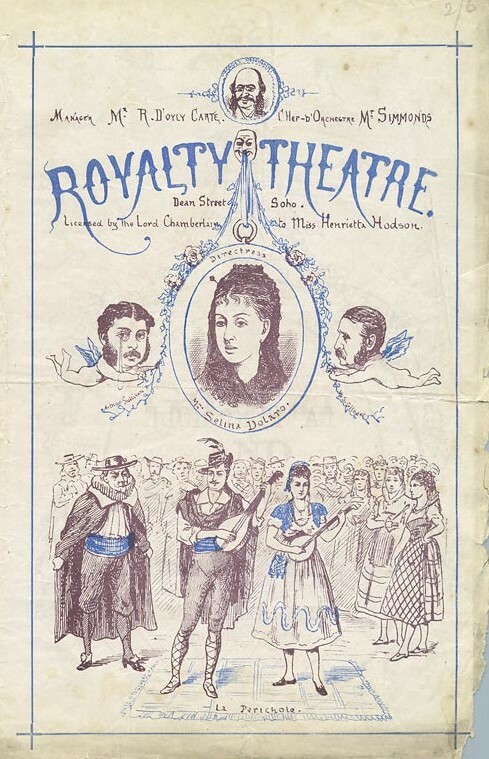 April 1875 programme for “La Périchole” and “Trial by Jury.” Sullivan and Gilbert are seen as the cherubs. The new production that I saw, directed by the company’s founder and artistic director, Ian Smith, was a thoroughly traditional one, making a good contrast with what was to follow. It was witty, lively and fast-paced, using many of the soloists from The Sorcerer. Again, the chorus impressed, especially the bridesmaids, with the energy that they brought to the proceedings. A jolly romp – as it should be! The National Gilbert & Sullivan Orchestra played both works with élan and a true sense of style – not just a ‘run through’ for this band of players, but music given as much attention as if it were Mendelssohn. James Hendry, who conducted both works, clearly knows these scores thoroughly and conducts with a lightness and clarity which is most appropriate. I do strongly recommend this G & S double-bill, especially if you have never seen The Sorcerer – which is highly likely! You will have an uplifting, hilarious time! The most successful recording of The Sorcerer on CD, although set down in1953, has just been reissued on the Decca Eloquence label. It is in mono, but the sound is very much more than acceptable and all the performances are stylish. The best recording of Trial By Jury is that made in stereo in 1963. Both are conducted by Isidore Godfrey who had the ability always to make the music sound fresh, and was able to imbue it with a lightness and bounce that few other since have been able to! For more information on the productions and performance dates, click here.